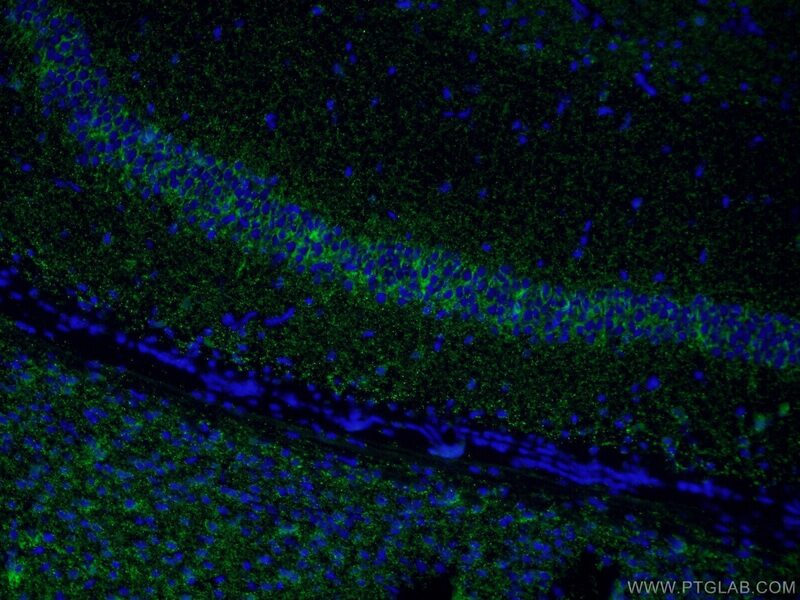 IP Result of anti-VGAT (IP:14471-1-AP, 4ug; Detection:14471-1-AP 1:500) with mouse brain tissue lysate 4000ug. SLC32A1, also known as VGAT (vesicular GABA transporter), functions in the uptake of GABA and glycine into synaptic vesicles. GABA (gamma-aminobutyric acid), is the major inhibitory neurotransmitter in the CNS. VGAT transports GABA and glycine into acidic vesicles and localizes to the synaptic vesicle in glycinergic and GABAergic neurons. 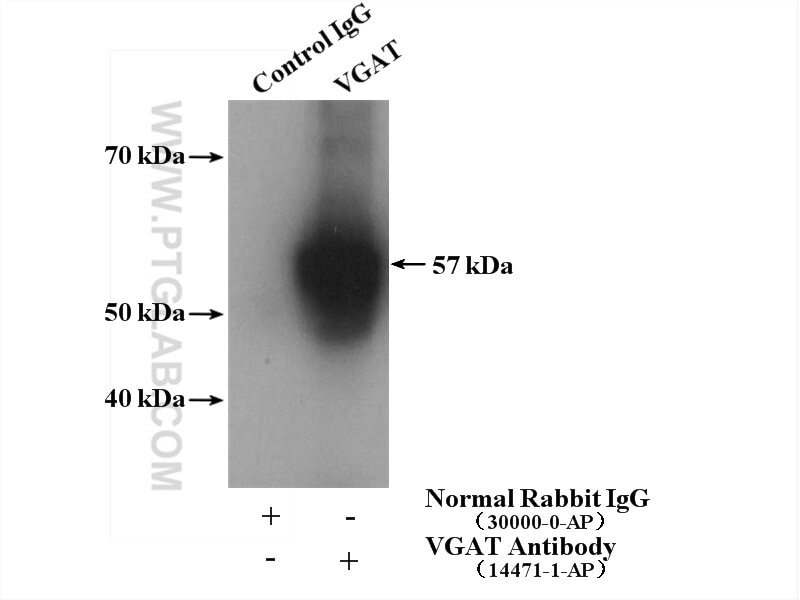 And VGAT antibodies are useful markers for presynaptic GABAergic and glycinergic neurons. Mutant TDP-43 and FUS cause age-dependent paralysis and neurodegeneration in C. elegans. Role of N-glycosylation in renal betaine transport. Mutation-induced loss of APP function causes GABAergic depletion in recessive familial Alzheimer's disease: analysis of Osaka mutation-knockin mice.